PiBox #3DPrinting #3DThursday « Adafruit Industries – Makers, hackers, artists, designers and engineers! UBMarc shared this project on Thingiverse! 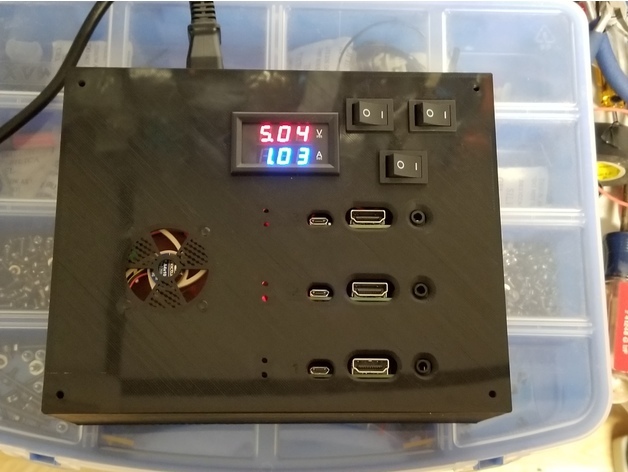 I made this box to hold my three Raspberry PIs since i was running out of space. It has a 5 amp 5V power supply with one or two fans. The air flow is channeled along the pis and through the power supply for optimal cooling. There is also a voltmeter and ammeter to monitor your consumption. This is still in trial and error phase so print with care.